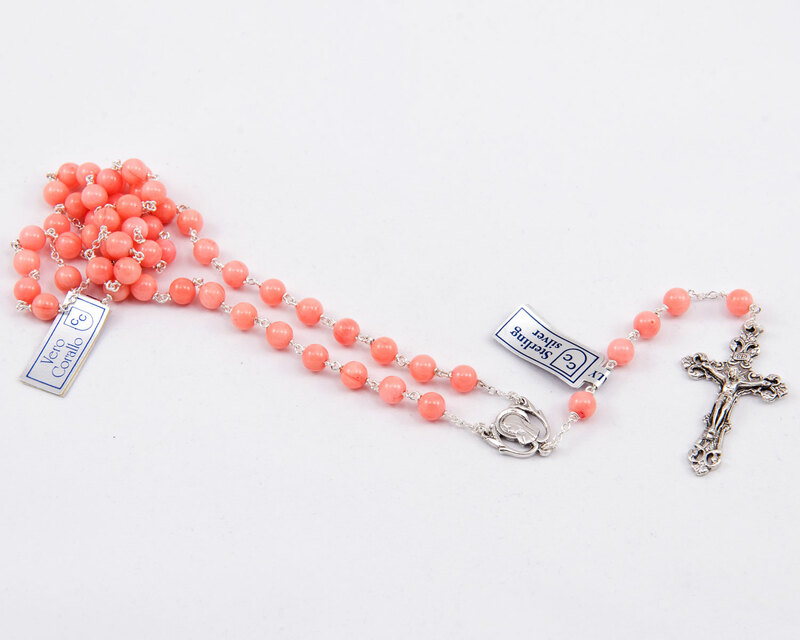 Hand-made genuine Pink Coral & Sterling Silver Precious Rosary, 6 mm round-shaped beads, “Virgin Mary” Sterling Silver Centerpiece and “Classical Design” Sterling Silver Crucifix. 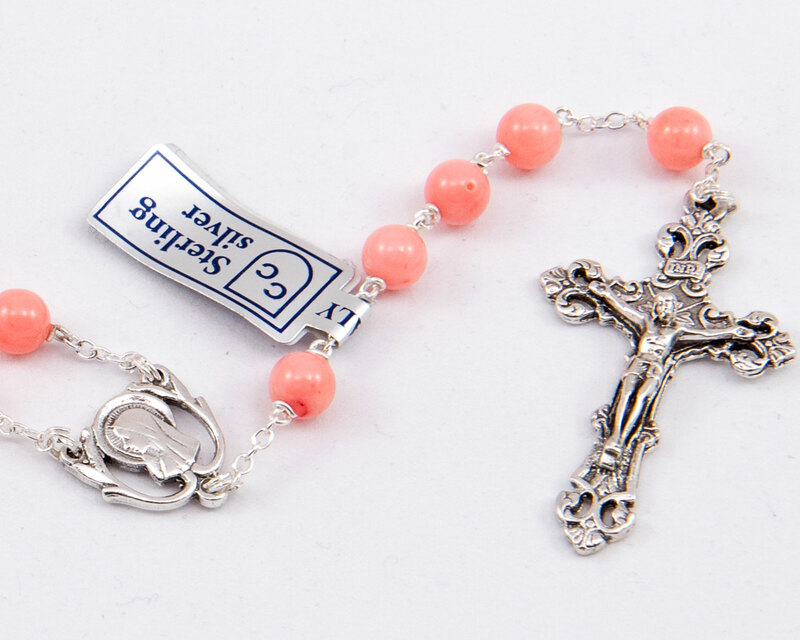 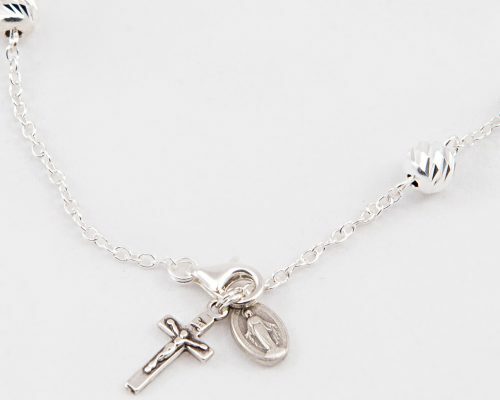 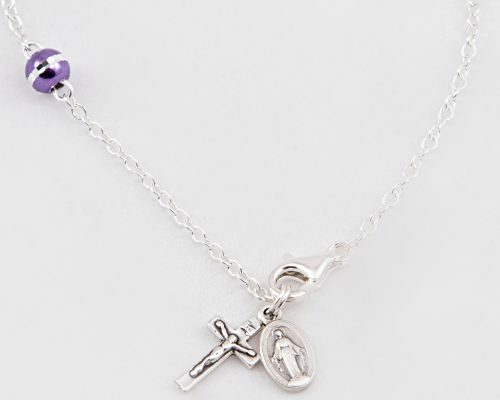 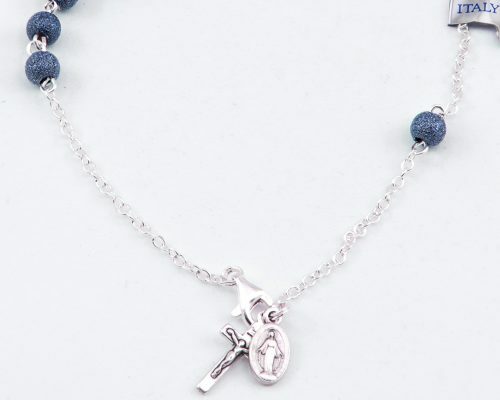 This rosary features a Miraculous Medal with the image of Virgin Mary on the front. 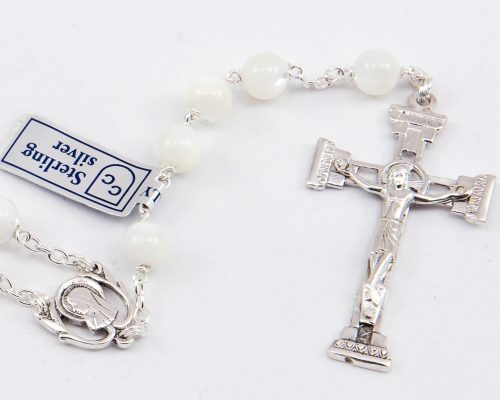 The grains are round-shaped and measure 6 mm of diameter. 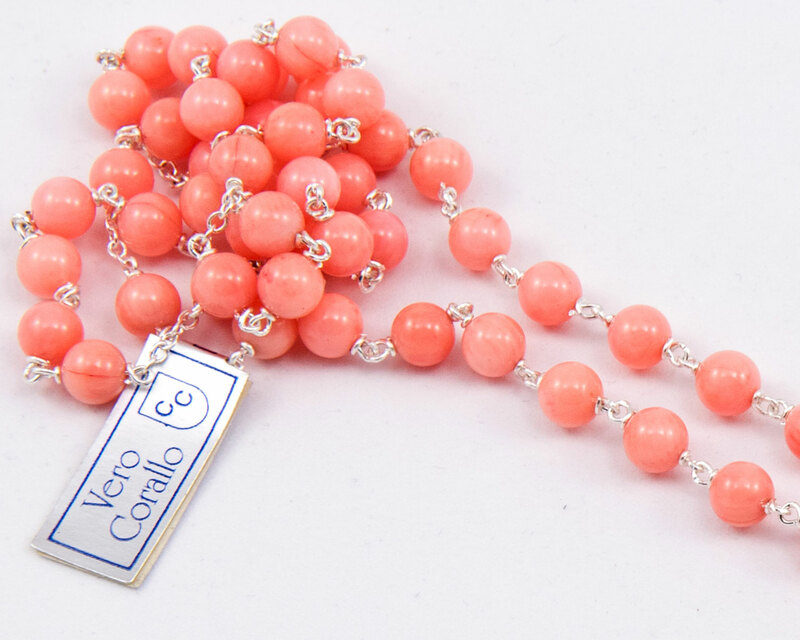 Every bead is made in Pink Coral tied with a sterling silver ligation chain with a pear-shaped’s closure.